Gorgeous trends have been announced to drive forth the skincare segment this year and all specialists are well-aware of these already. They have started thinking of their new strategies for this year so that their clients might be astonished of what they have to offer. Today, we will reveal five noticeable trends in the skincare industry that you should all become aware of right now so that you might make wise choices in terms of skincare products that are worth purchasing. The latest research in the skincare industry has revealed the fact that our skin is more delicate than ever and that harsh cleaners do not ensure the effective results that people aim to achieve. Therefore, a changing trend in terms of cleansing habits is expected to occur this year. The Ph of the skin is a sensitive factor in this case and the new trends place natural cleaners and hydrators on top of preferences for those who wish to overcome all barriers to achieve natural beauty for their skin. 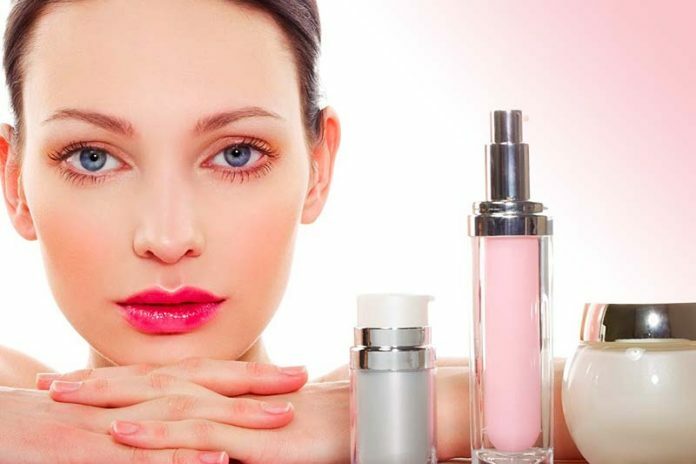 Moreover, the latest trends will also focus on the development of improved cosmetic products that will effectively fight against conditions like rosacea, acne and eczema. It all starts with proper cleaning so the cleansing products are expected to be widely improved this year. The competition between manufacturers determines all of them to rely on these latest trends when creating new products and the quality standards will not be low in any of these cases. This can only represent great news for users who will gain the opportunity of getting rid of their skin issues through proper cleaning this year. Although in the past, most skincare specialists used to laugh when they heard of natural cosmetics with great results as compared to professional ones that were filled with unknown ingredients, things have totally changed. The constant increase in interest among specialists for natural, organic cosmetic products will reach a real boom this year. Specialists and customers from across the globe have become interested in going back to their origins and finding natural remedies for their skin. The real new revolution in the skincare industry will be all about creating and choosing organic products that rely on the resources of Mother Nature in a modern way. Cleaner, greener options are the new favorite trend that will change the display in numerous online and offline cosmetic shops this year. Although in the last few years, the use of masks for the skin has not gone beyond the standard barriers, 2017 is the year when cosmetic masks are predicted to become high tech. Beauty masks will be a real success this year due to new technologies and organic ingredients that have been discovered and combined to create amazing new products that do real wonder on any skin. You will be thrilled to discover a wide variety of dry-textured masks, coconut gel sheet products, colorful clay-based professional masks and other products which you will be able to use on your whole body this year. The increased interest in everything that is green and organic has lead specialists towards discovering the huge benefits of superfood skincare for customers from across the globe. The healthy skincare principles now govern the creation of new products that will revolutionize this segment by the end of 2017. The heap of vitamins and antioxidants that come from natural, organic ingredients will turn new cosmetic products into real natural weapons for perfect beauty this year. Everything you see green in the supermarket might become part of your new cosmetic products this year. Do not be surprised to discover ingredients like kale, broccoli and chia in your face masks or day and night creams. These will bring your skin back to life and make you feel ten years younger. You must have heard of the concept of Korean Beauty from specialists you have asked for skincare advice in the last couple of months. This is because the new Korean beauty products seem to have attracted everyone’s attention in the last few months. It is all due to the wide benefits of their exotic ingredients that have been mixed properly to ensure the most effective results for all skin types and requirements. Even more exotic ingredients are predicted to be discovered and used in the mineral powder and the new cosmetic Korean products that will mark the cosmetic industry in a new way. Finally, 2017 is all about embracing our interior and exterior beauty and following the latest trends that ensure the widest range of benefits for our skin through high-quality, organic products.